Google algorithm has been changing over the past few years. Therefore, it is important to keep track with Google updates to know what is the current ranking factors. Before getting into the ranking factors one by one, you should firstly have a clear objective on your website, which is to have a site that delivers value to the users. You must provide relevant information to the readers or they will leave your site. Now, let’s get into more detailed on how you can provide beneficial information to the readers and get ranked at the same time. To be ranked, you have to make sure that your website is crawlable by Google’s Spiders. One of the simplest and effective ways to tell Google what pages are included in your website is sitemap. By having a sitemap, it is easier for users to navigate your website as well. Having a sitemap in your webpage is important because it allows Google spiders to crawl all the links to your individual web page without missing anything out. Another ranking factor that you have to know is your domain name. It seems that domains with high SEO visibility can get higher rankings with their URLs. Therefore, you have to name your domain carefully. Always include keywords in your domain so that Google will find it relevant. Other than domain, subdomain can also be ranked if optimized well. If you’re unsure of what domain and subdomain are, here’s an example on how you can differentiate it. Not only navigation, do you know that URL also affects your ranking? Google will find it more significant to rank your website when a keyword appears in your URL. Make sure to keep your URL length between 30-50 characters including keywords because most websites that are ranked on Google have a shorter URL. The order of which keywords appears in your URL matters as well. It’s best to include your keywords to appear earlier in a URL. However, don’t put all the words together in a URL without any spacing because search engines will find it hard to understand. The same goes to using underscores (_) in URL. It may work, but it is not as reliable as using a hyphen (-). As I mentioned previously in the 9 ways to optimize your on-page SEO blog post, using underscore (_) in URL is not recommended by Google because it confuses both search engines and readers. Separating your URL with a hyphen (-) instead of an underscore (_) helps search engines to read your URL. Keywords also help Google’s Spiders to understand what your content is about. To begin with, your title’s keywords must correspond to your content and search terms. 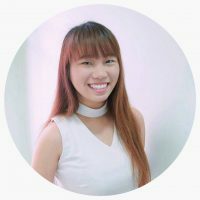 Ideally, the keywords should be placed at the start of the title because when you optimize your page this way, it will rank better than those with keywords closer to the title’s end. Keywords play an important part in Google ranking factors because users usually type in the keyword when they’re looking for something. That is why it is important to understand the user’s intent. When you can provide the users what they’re looking for, Google will find your website more relevant and give your a higher ranking. Although including keywords is good for your site, but do take note that keyword spamming is not encouraged because you will likely be penalized by Google. To identify the quantity of keywords usage in your content, you can calculate it by using the keyword density formula. For example, if you would like to achieve a keyword density of two percent in your article of 1000 words, then your keyword has to appear at least twice for every 100 words (2 out of 100 words). If you don’t want to calculate your keywords usage manually by using the keyword density formula, it is a great idea to use SEOPressor, which can help to optimize your keywords in order to improve your search engine rankings. 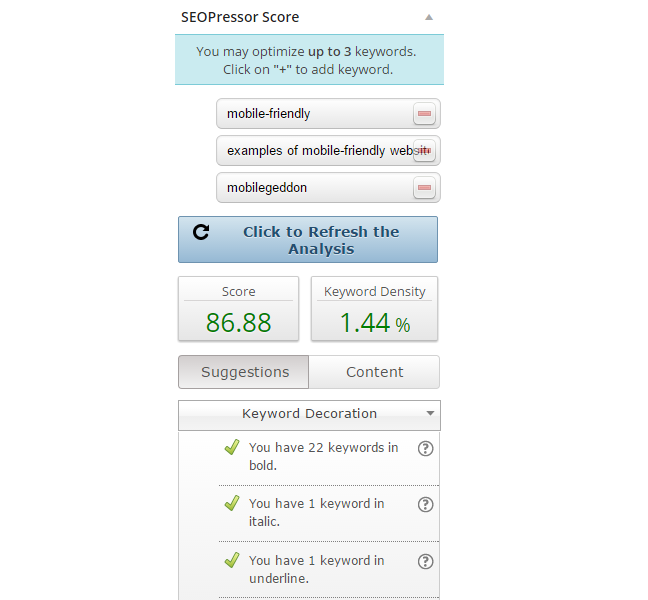 SEOPressor helps to check your score and keyword density for a better SEO. Another way to avoid keyword spamming is to use LSI keywords, which are the synonyms to your main keyword. By using LSI keywords, you are sending signals to Google to rank your site. There are two easy ways to get the LSI keywords. If you want to do it manually, you can simply scroll to the bottom of Google page and you will see all the related searches to your main keyword. LSI keywords are keywords that are similar to your main keyword, which add relevancy to your content that boost ranking. Another way to do it automatically is by using LSIGraph, which is a free LSI Keyword Generator tool. SEO doesn’t only mean optimizing the content. You can also optimize other media such as the images because it can send relevancy signals to search engines through the ALT text, caption, and description. The ALT text of an image is very important because it describes the image to search engines and users who are unable to load the image. It will improve the relevancy and accessibility, especially when users use the Image Search. 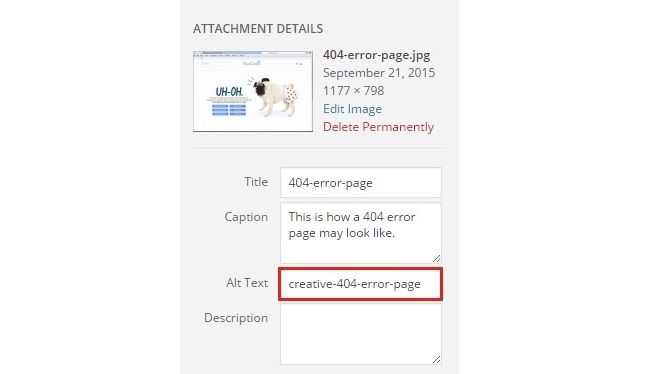 With ALT text, your images will stand a chance to be ranked in the image search results. To write the perfect ALT text, you must remember to include your targeted keywords and also make sure that your description is relevant to the image. Make sure your ALT text is describing the image so that search engines can display your image according to relevant search queries. The title of your content can also affect your ranking as a title defines the purpose of your blog post. It often appears in both Search Engine Results Page (SERP) and snippets for social sharing. Google will not rank your website if your title is irrelevant to the content. Therefore, you should keep your title simple and appropriate with no longer than 60-70 characters. Write a short, but straightforward title for readers to know what your content is about. These days, readers are not satisfied if they are only given basic information. They want more, they want to be educated. Hence, Google will look for authoritative and informative content to be ranked first. Don’t be afraid of writing a long copy as long as it is beneficial to the readers. Long copy doesn’t only give you a chance to cover more aspects of your topic, it also helps Google to crawl your content. In addition to writing informative content, producing fresh and unique ideas add value to your content too. It is good to improvise your content from time to time when you have better key points to be added in the content. When writing, keep in mind that you are writing for both readers and search engines, so you have to make sure to create a quality content. To know how you can write for both readers and search engines, check out this SEO copywriting guide. It is also important to publish your content regularly. When you publish consistently, Google bots will visit your pages more often because they know that you are publishing the content on this particular day. But before publishing, you have to check your spelling and grammar to make sure that there are no errors in it. Content that has spelling or grammar mistakes can affect your ranking in a negative way. You can use Grammarly, which is a grammar checking tool to check your grammar to save your time from proofreading. 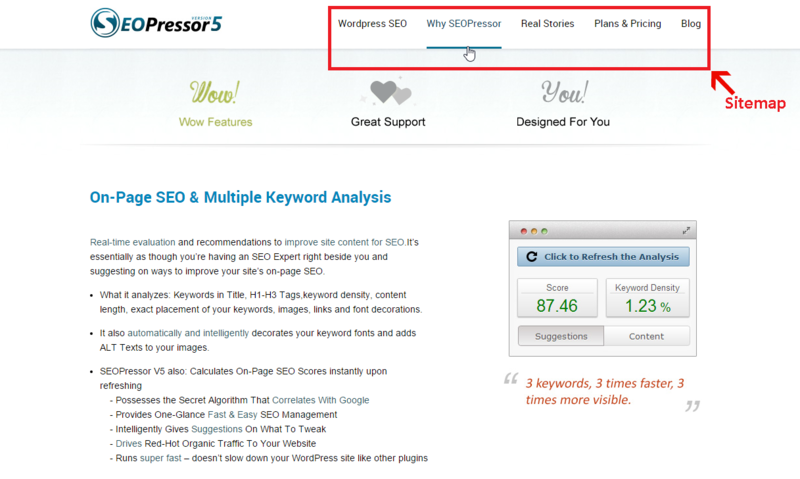 A must-have checklist for every SEO practitioner. Images in content is a powerful way to make an impression on a website. 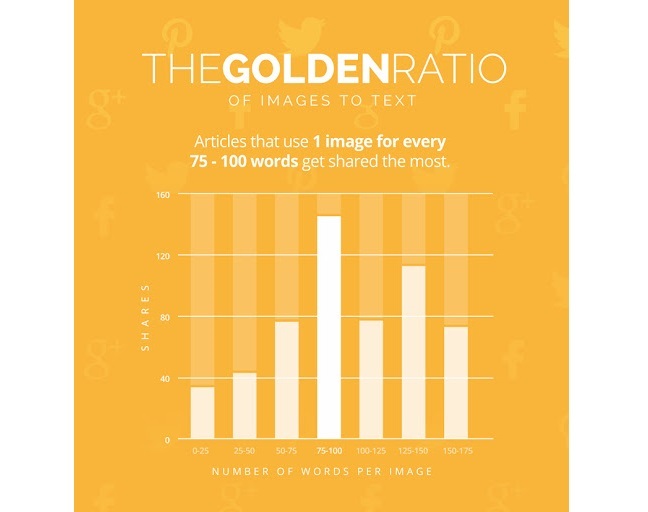 That is why the amount of images you insert in your content matters because it will affect your ranking. Both images and content help to increase the relevancy of a search result, which is why you should balance things up by not including too many or too less images. In SEOPressor, we usually write content within 2,000 words or more, and we will make sure to have roughly 12 images in our blog post so that we wouldn’t bore our readers. To simplify, you should have a ratio of 100 words to 1 image in your post. Having an appropriate amount of images in your content help to keep your readers to stay longer on your website. Internal links can help both the users and search engines to navigate or crawl your website. However, internal links can easily become a risk if over-optimized. 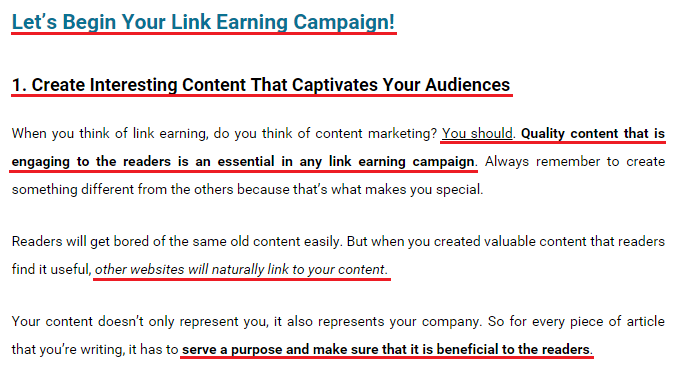 Insert internal links in your article naturally instead of forcing it, or else Google will penalize your site for spamming links in the content. If you wonder how many internal links are too many, I usually go for a ratio not to exceed more than one link for every 100 words in my content. In this way, you can avoid getting a penalty from Google. Internal linking helps to drive traffic to your old posts. You should always remember to link your old blog posts in your new blog post where it’s relevant to make it easier for readers to refer to other related content. Internal linking helps your users to navigate a website without any hassles. An anchor text of a link is an important component of navigation in a website as it directs the users on where the link leads to. For example, in the first few posts where I documented about my SEO journey as a beginner, I have included anchor text on the last paragraph in my blog post to navigate the readers if they want to read my previous or next post. Let’s take a look at this example for a better understanding of anchor text. This is how your anchor text looks like when it is displayed to the readers. Google bots can only read your anchor text by code, which can help to determine your ranking factor. Make sure to link only the sentence that is correspondence to the website’s content, and not the whole paragraph, or else Google will find it irrelevant. CTR measure the percentage of visitors click on your links or website. Meta description is an important element for your site because it influences the click-through rate from the Search Engine Results Page (SERP), which affects rankings. With meta description, Google can identify what kind of content is relevant to the readers based on the users’ search query. When writing your meta description, keep it under 155 characters because Google will cut it off if it’s longer than that. To understand better, you can refer to the image below for a good example of meta description. A meta description should be written to describe your website to search engines, and also to increase Click-Through Rate (CTR). Remember, your meta description has to provide value as it represents your site. Users are usually looking for answers on the search engines, and you will do them a huge favor by giving instant answers in the search results. Slow page speed hurts your rankings, especially sites that take up to 20 seconds to respond to a single request. Users hate sites that load really slow. Therefore, you have to make sure that your website is loading well, up to the users’ standards. If you’re not fast enough, then you have to speed up. At the end of the day, what’s important is to attract the visitors to keep coming back to your site. You need to keep the users happy. If you’re wondering how fast is fast enough and how slow is consider slow, you can check your web performance at PageSpeed Insights by Google. It is important to check your site speed in order to improve user experience so that your visitors don’t have to wait for long. Sites that are better optimized with meta tags and headings such as H1 and H2 create a greater user experience as it provides better structure and understanding of the page. Other than that, decorating your keywords in bold, italic, or underline help to determine the relevant subject matter of a page. Using headings help your readers to get the main points in your content. Headings also improve accessibility for readers to get a clear understanding of your content and reducing bounce rate at the same time. Avoid using too many bombastic words and jargons because readers who are new to that particular topic will find it hard to understand. Write simple and straightforward sentences for readers to understand better rather than beating around the bush. To check how readable your content is to the visitors, you can check it at readability-score.com. But how do you know if your content is suitable for your visitors? For this concern, you’d have to measure the user experience by checking their time on site. Just by looking at the average time on site, you can basically tell if readers like your website or not. Generally, if users spend a longer time on your site that it decreases the bounce rate, it will definitely help a lot in getting a higher ranking. Bounce rate is measured when a user visited your website through Google, and then quickly hits the “back” button to be taken back to Google page, it is a negative signal, which indicates a high bounce rate. I believe Google Analytics is the webmasters’ favorite web to keep track of their site’s performance. You can check the amount of page views in Google Analytics, and identify how much time did users spend on your website. Google Analytics is a user-friendly web analytics service that help to keep track of your website’s performance. If you find that readers are spending too little time on your site, then it is a hint for you to optimize your website. Now that the Internet has become so advanced that things can go viral in just a few minutes, it is very important to set up social media sharing buttons. Setting up social media sharing buttons help to get more exposure because when readers like what they’re reading, they will share your content around. Big brands are investing more in social media such as Facebook, Twitter, Google+, and Pinterest. Moreover, your website’s importance also depends on how much it is shared or liked by those who visited it. 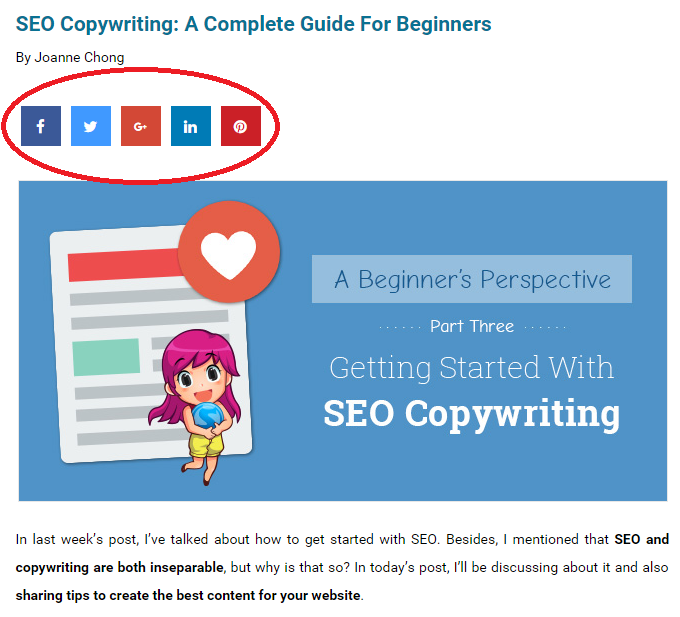 Just like in SEOPressor, we have the social media sharing buttons at every post for readers to share our content without any problem. Adding social sharing buttons in your website is a quick and effective way to promote your content. You may think that social signals don’t have a huge impact on the ranking factors anymore, but you can’t deny the fact that social signals do bring direct traffic to your site. Good content usually performs well on the social network. 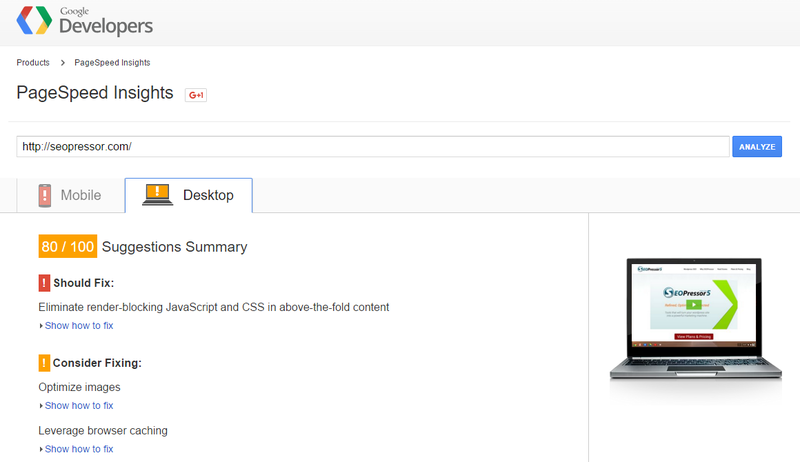 This helps the search engines to recognize your content as it has proper and up-to-date content. The more people share your content, the more Google will find your content relevant. In results, Google will rank your content on the search engine because it has what the readers are looking for. 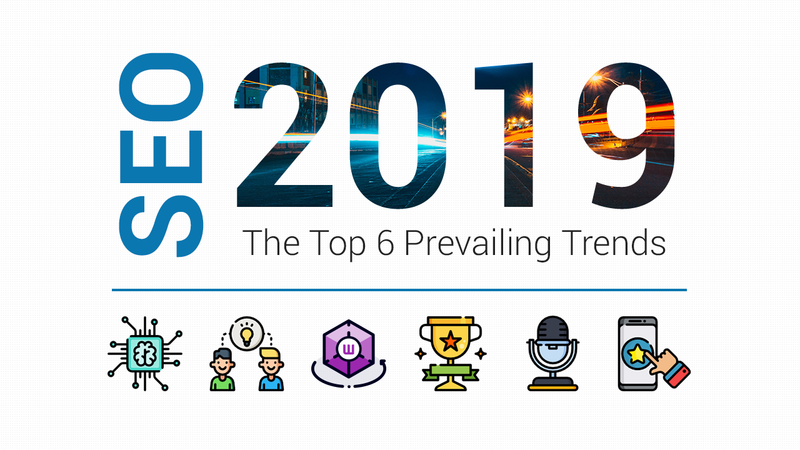 Many experts believe that the factors which will have the greatest impact on rankings is a site that is secure, loads quickly, well-structured and easy for Google’s Spiders to crawl and understand. Now that we have come to the end of this blog post, you should optimize your site according to the top 10 ranking factors. Remember, come up with something compelling to make your readers like your content – this is how you get a higher ranking. And also, be authentic. Plagiarizing another content is a no-no because you’re not creating your own content and readers hate that. Keep researching for more data and information, you will get the idea to produce fresh and unique content. If you have any further questions or feedback, do leave a comment down below and we’ll discuss it together.